An online business is a BUSINESS FIRST! It can be anything at all, whether it's selling products or services, sharing knowledge, etc. It becomes an online business when you decide to use and leverage technology to push your brand, boost awareness, sell your products and services, etc online. You start off with a business with an idea that MUST solve a problem! There must be a gap that you're filling otherwise you are not adding value to anybody. Then you must pick the best business model for you to grow and make an income. One-on-one - Selling a service or skill that you possess, e.g. photography, graphics design, editing, financial services, etc. One-on-one services can be the best business model to start off with because premium services attract high prices. Think about the questions your readers and followers keep asking you - what do they want from you? Hone in on that area and create a solution. Physical Products - Whether you make or have physical products for sale, you can sell them online. This can include selling cakes (call 08094268369 to order from Cakesiena), or jewelry, or makeup products. Membership/Subscription Services - This model calls for people to subscribe to your platform and you provide different things on a regular basis. For example, The Beauty Boon Box charges a subscription fee and every month you get a full sized product and about 5 deluxe sample beauty products. I once told a friend that I would very happily pay for a PASTRIES box! Software Services - These are the Facebooks, Googles, Instagrams. Mobile and web apps can generate a lot of money. 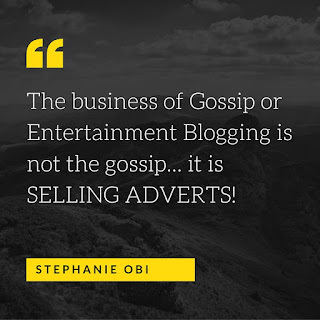 Advertising - Selling advertising on your platform.The following statement was an epiphany - "The business of Gossip/Entertainment blogging, isn't the gossip. It's selling adverts!" Mind blown!!! Affiliate Business - This is most probable if you already have a community (see below for more on this). Brands can reach out to you and pay you on commission based on how much of their products and/or services you can sell. E.g. Jumia/Konga, even Nazuri Curls (through me, they were able to sell almost N500,000 worth of their products). Each business model has different requirements that you need to get started. And it's advised that you have multiple streams of income, so you can use more than one model. Having a Community and Audience are two different things. An audience can follow you, read what you write, watch your videos and that's pretty much it. A community trusts you and your opinion, and are likely to be influenced by you. To build a community, you must genuinely care about them and their well-being, desire to help them (not just make money off them) and be consistent. You should have a strong call to action (CTA) that they will respond to. It's about ENGAGEMENT. Should Lifestyle bloggers spend money to invest in building their brands, e.g. PR, advertising, marketing, etc? You can push your brand according to your pocket. Personal branding is key - the way you market yourself, your knowledge, skills, etc. Some ways to promote your online business: Be knowledgeable and project your knowledge via content creation either by writing or vlogging. You can get featured, e.g. writing guests posts, joining online groups and connecting with others. These are inexpensive ways to market your brand. 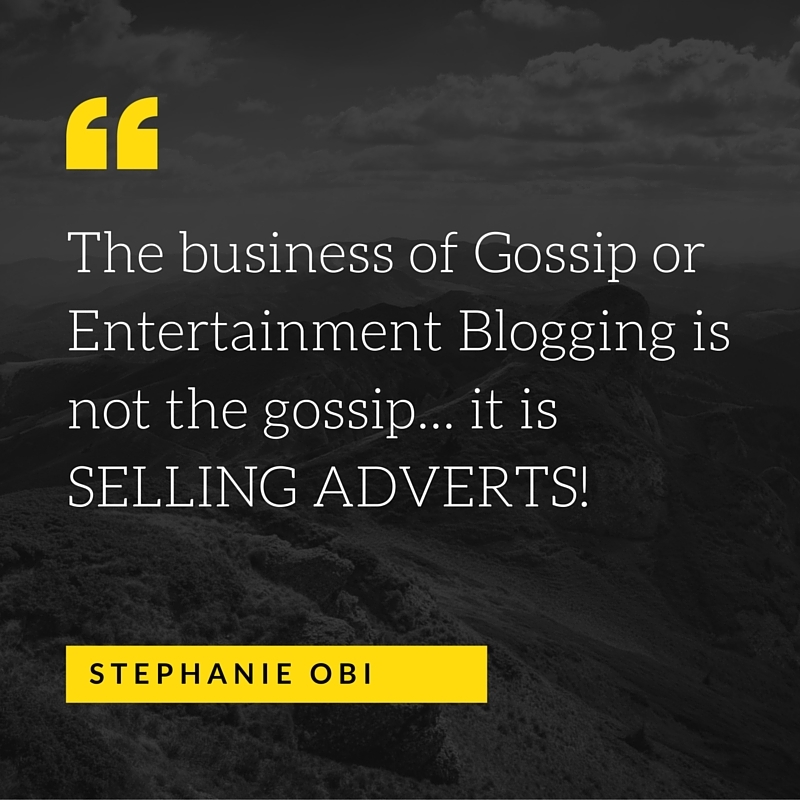 If you have the money, you can also pay for adverts on the right platforms (do your research first). Have many different interests and ideas? Focus on a niche. Why? You want to be the authority, the go-to expert! It doesn't stop you from knowing other things. When they start coming to you on that niche, then you can introduce your other products and services. Nobody can tell you whether your online business is possible or not, whether it will be successful or not. You need to test the market and see if there is a demand for the product/service. Are people willing to pay for it? If yes, make sure your implementation is on point. You should learn your business, gain any skills you need and learn how to sell it. How do you sell your online business? If starting out, one-on one. Ask your community if this is something that they would be willing to pay for? If yes, those are your potential customers. When you start working with them, your business will evolve. Registering an online business is the same as registering a physical business. Remember that it is first and foremost, a BUSINESS. You should get registered legally, pay taxes, pay salaries, etc. Treat it seriously. Protect your intellectual property. Don't stop learning! Develop yourself as a person. Be consistent at what you're doing until you achieve your goals, and then make higher goals! Okay, this one I learned from the 2016 Goals Workshop, but I think it applies here and in life generally. If you have the time and want to watch the entire video, it's up on the She Leads Africa Youtube channel, here. If you want to start an online business, I hope some of the points I learned will help you. Yeah Berry, thanks for sharing I really learnt a lot.. Thank you so much Berry for sharing. Off to YouTube. Have a beautiful weekend. I watched the video not too long ago but this summarizes if perfectly. Thanks! I was scared I would forget something. I watched the webinar as well though I didn't watch it live. I don't have an online business but I see the information from it as something that may come in handy later on. Who knows what the future holds? I may decide to start an online business later and apply some of the tips. 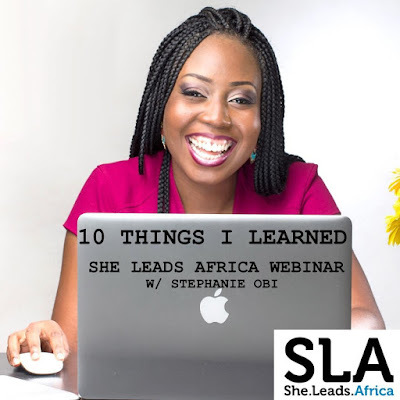 She Leads Africa is doing a great job on educating people on business and career. Well, like she said, an online business is a business first and foremost. So you can have a business that you want to put online, and these tips would apply. Big ups to She Leads Africa and other organizations pushing for development in different areas. Thanks for the share berry. As usual with steph and her amazing posts. So thoughtful of ya! Especially for those without internet access. She really did. I'm glad I was able to catch it. i just finally gave this a good read! Thanks for sharing. ill try to watch the video! Haven't watched the video but this is very helpful. Thanks for sharing Berry. Thanks so much for sharing, that was inspiring. God bless u. My pleasure. God bless too! Very valuable tips. Thank you for sharing, very kind of you.